EESP will promote organized recycle/waste events, make presentations and post media alerts to encourage re-use and zero waste reduction practices. 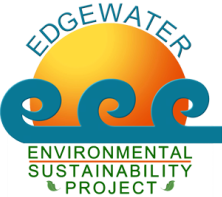 Join in Clean & Green/ Earth Day events in April and the annual Edgewater Yard Sales in May. Utilize the Blue Cart or Recycling Bins for your building. Waste Reduction: Brian Haag and Killian Walsh will lead a strategic initiative to improve our waste reduction efforts to reduce, reuse, and recycle. We hope to collaborate with the Chicago Recycling Coalition, a new re-created city Department of the Environment and other partners that can help us help our city to move forward in this important area in which we are lagging. Balloons Blow, a nonprofit organization, is dedicated to educating people about the dangers released balloons can have on animals, people and the environment. The group points out that all released balloons always return back to the ground as litter. Animals like birds, whales and sea turtles can die after swallowing balloons. Mylar/foil balloons can cause power outages and spark fires. Plus, helium is a nonrenewable resource. The group suggests environmentally friendly alternatives to balloons, including banners, pinwheels and wildflower seed bombs. Some of the world's largest consumer-goods companies are trying to tackle the globe's plastics problem by offering people an alternative to recycling. Procter & Gamble, Nestlé, PepsiCo and others are partnering on a project called Loop, in which their products, like detergents and shampoos, would all be sold in reusable packaging. After using the products, customers put the empty containers in a Loop tote on their doorstep. The containers are then picked up by a delivery service, cleaned and refilled, then shipped back out to consumers. Details of this innovation were announced on January 24, 2019 at the World Economic Forum in Davos, Switzerland. Member Allen Stryczek allen.stryczek@sbcglobal.netto edit.